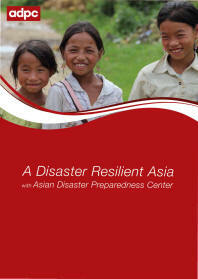 Asian Disaster Preparedness Center (ADPC) has launched the five-year program on Building Resilience through inclusive and climate-adaptive disaster risk reduction in Asia-Pacific (BRDR) aimed at protecting development gains and to enhance regional cooperation on inclusive and gender-equal risk reduction approaches. 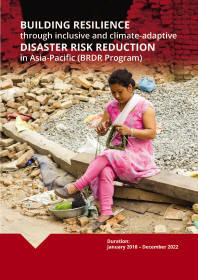 The program seeks to develop and support the implementation of innovative and inclusive measures that link stakeholders engaged in development, DRR climate change adaptation (CCA), and emergency preparedness. 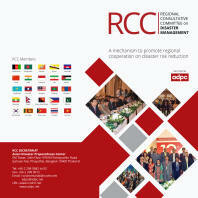 The program is supported by the Swedish International Development Cooperation Agency (Sida) and implemented jointly by ADPC, the Swedish Civil Contingencies Agency (MSB), the Stockholm Environment Institute (SEI), and the Raoul Wallenberg Institute (RWI). 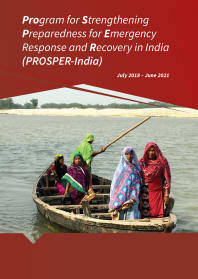 This publication provides insight into the aims, expected outcome and approach of the BRDR program.